On this panel two related concepts are explored. 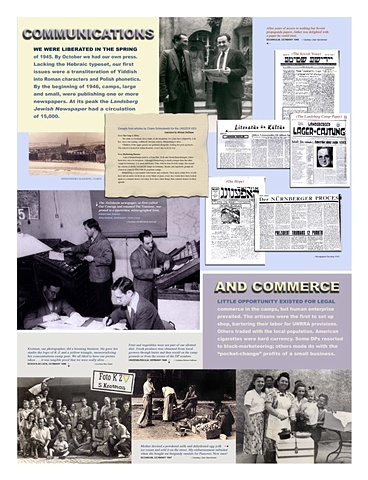 Despite the horrors of the just completed war, the residents of the camps established multiple newspapers in all the camps before the year was out. And small businesses began to develop as artisans bartered their skills for food and other essential items.